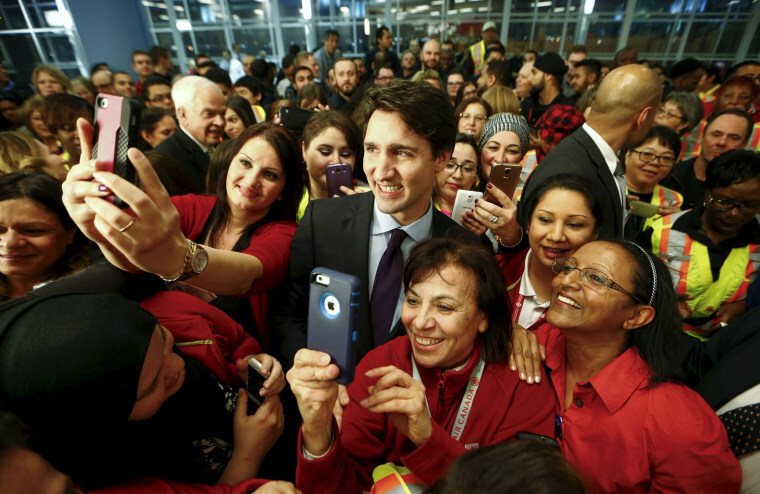 The first plane carrying Syrian refugees arrived in Toronto late Thursday where they were greeted by Prime Minister Justin Trudeau. 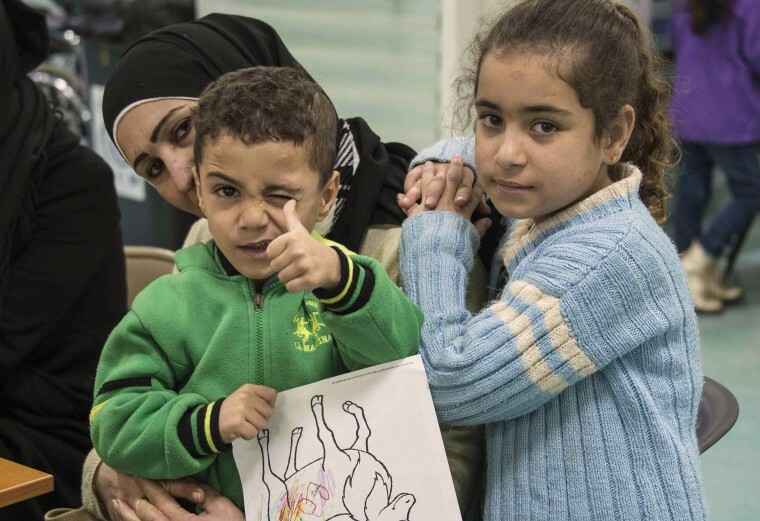 A Syrian refugee child flashes a "thumbs-up" as he waits with his family during a medical screening in Beirut before an airlift to Canada on Dec. 9, 2015. After months of promises and weeks of preparation, the first planeload of Syrian refugees headed to Canada on Thursday, aboard a military plane to be met by Canada's prime minister at Toronto's airport. Canada's Prime Minister Justin Trudeau poses with airport staff as they await the arrival of Syrian refugees on Dec. 11. Canada's Liberal government plans to resettle 10,000 refugees from Syria's four-year-old civil war by the end of the year and a further 15,000 by the end of February. 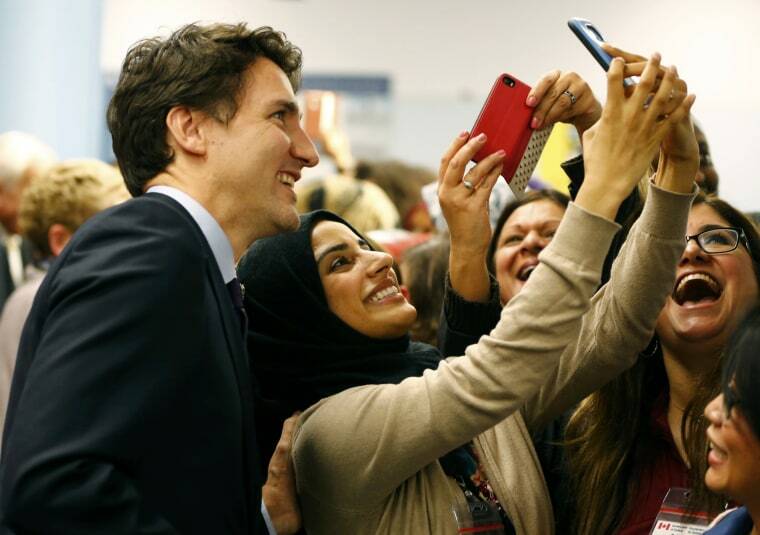 Trudeau poses with airport staff as they await the refugees. 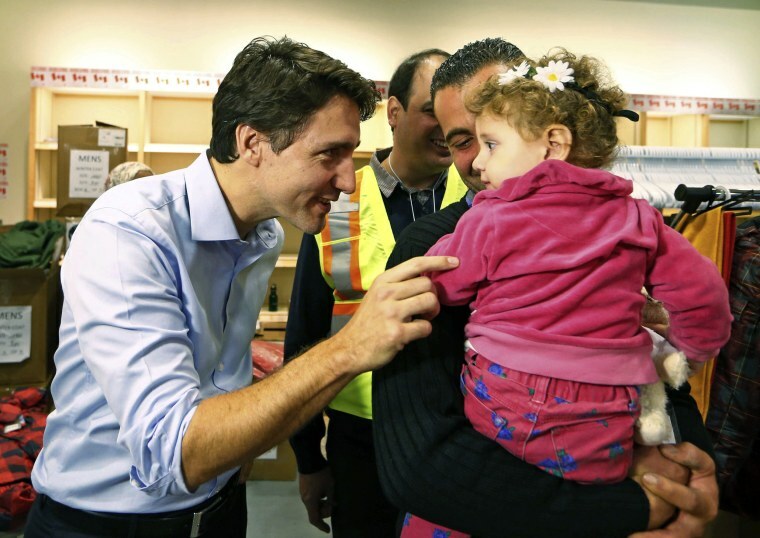 Trudeau greets Syrian refugees 16-month-old Madeleine Jamkossian and her father Kevork Jamkossian, a gynecologist from Aleppo,as they arrive. 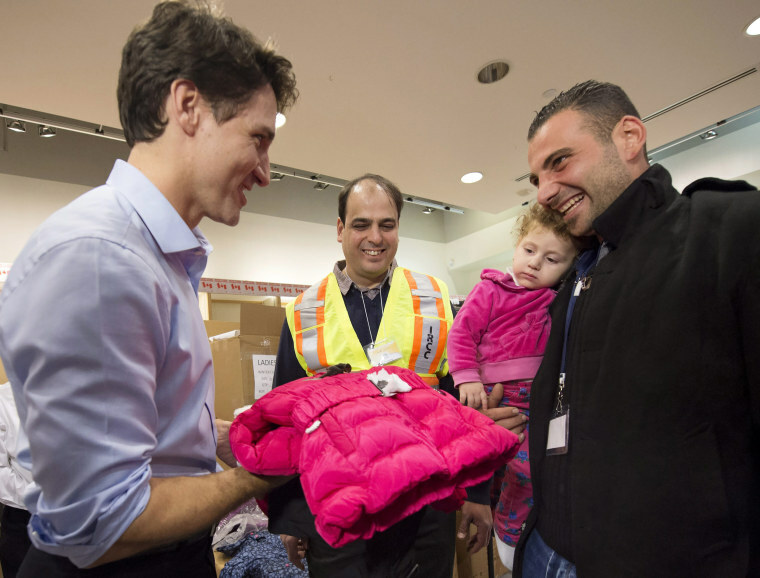 Trudeau presents Madeleine Jamkossian with cold-weather clothing. 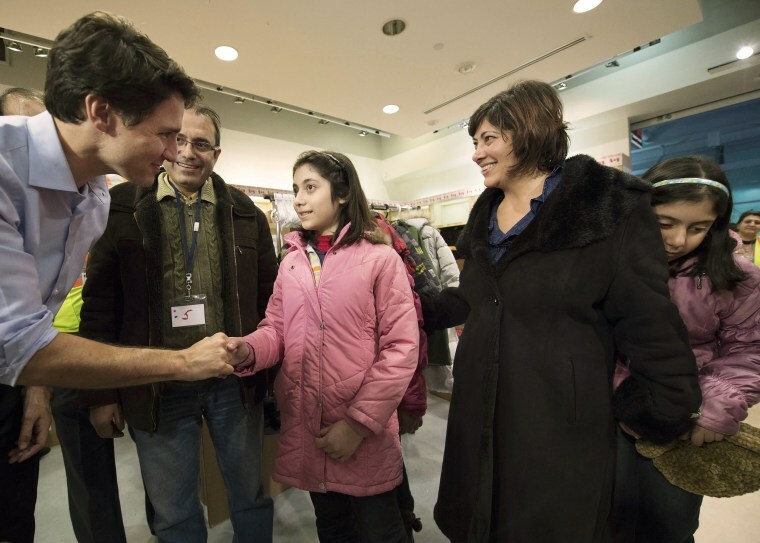 Trudeau greets newly-arrived Syrian refugees Lucie Garabedian, her father Vanig Garabedian, her mother Anjilik Jaghlassian and sister Anna-Maria Garabedian. 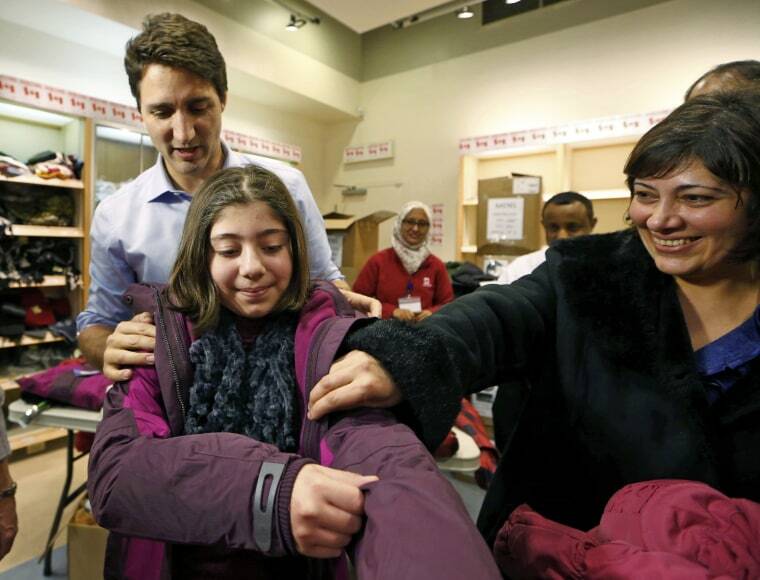 Trudeau and Lucie Garabedian help her daughter try on a new winter coat. 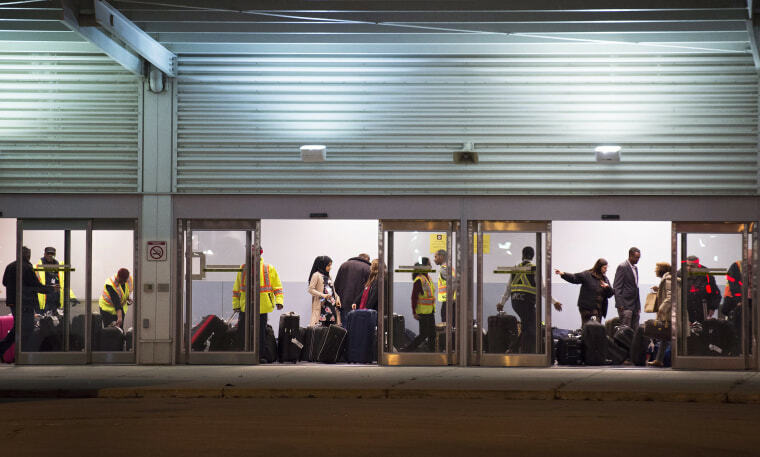 Workers help newly-arrived Syrian refugees load their luggage onto buses. 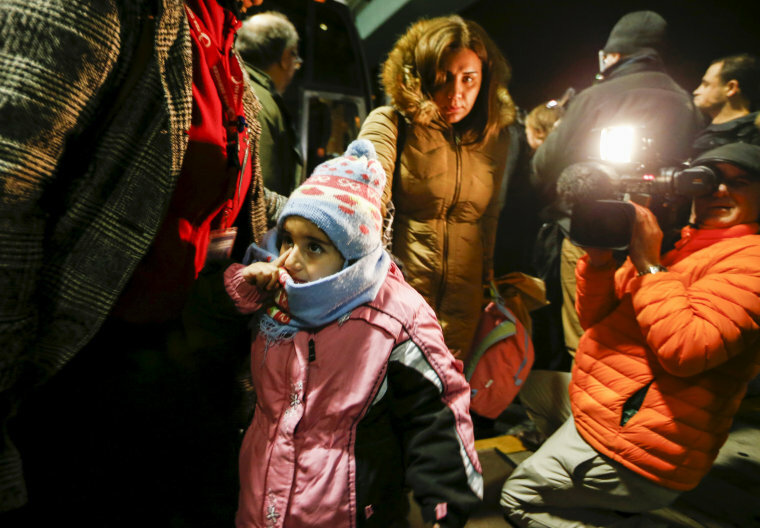 Syrian refugees arrive at a hotel in Mississauga, Ontario on Dec. 11.